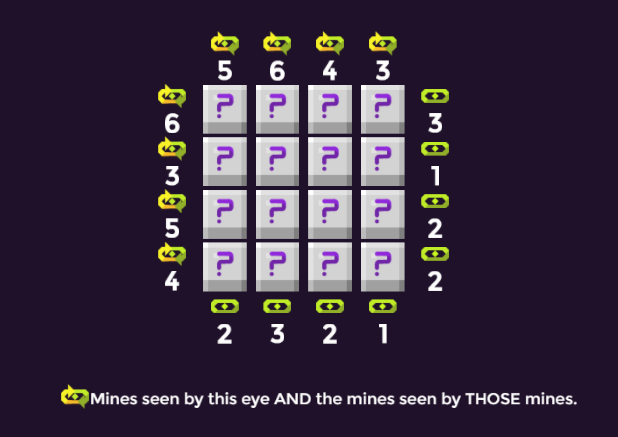 Mine of Sight is a weird, puzzle-filled version of classic minesweeper. 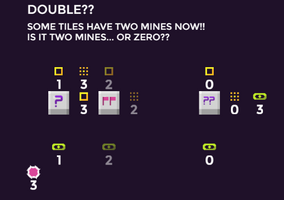 Here are two new hint types: the repeating eye and double-covers. It's getting cramped in here. Two mines can now hide under the same tile. Look out for the special double ?? tiles. 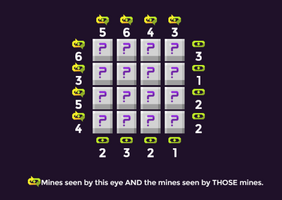 Did you know that mines can see other mines? They're clever like that, but you're more cleverer so you'll be fine.